Andaz Tokyo Toranomon Hills has appointed Ross Cooper to the position of general manager. Cooper joined Hyatt International upon receiving his degree in hospitality management from Auckland University of Technology in 1997. He was selected to be a corporate trainee at Grand Hyatt Melbourne in 1998 and continued on to become assistant manager at the hotel’s radii restaurant & bar, and later as the assistant banquet manager. Cooper then moved to Hong Kong to become catering manager at Grand Hyatt Hong Kong as well as holding numerous other positions in the food & beverage banquet department. With extensive years of experience with Hyatt International and working in Japan, Cooper joins Andaz Tokyo Toranomon Hills during this pivotal phase, bringing his passion to drive the brand forward. 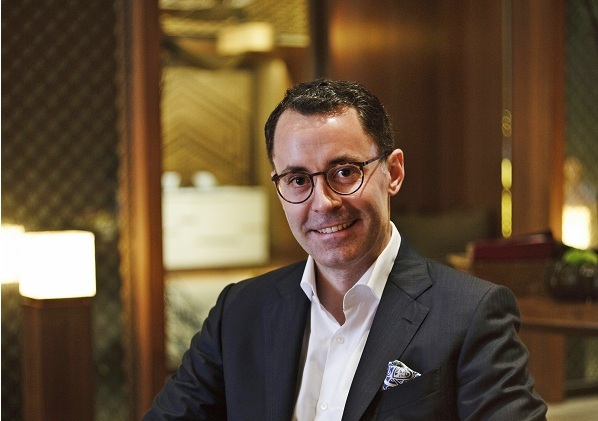 With the appointment of Ross Cooper, Andaz Tokyo Toranomon Hills bids farewell to Arnaud de Saint-Exupery who has been manager since the hotel’s opening in June 2014. Anaud has been appointed Hyatt area vice president of United Kingdom & Ireland, as well as general manager of Hyatt Regency London – The Churchill.